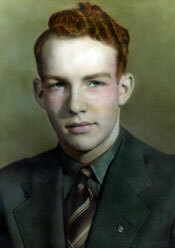 David R. Brownfield, Sr. was born December 18, 1922, to Wade Brownfield and Margaret Dillingham Brownfield. He died September 13, 2012. He was the son and grandson of pioneers who settled in Eastern Jackson County, Missouri. He was devoted to his family and his community. He was a good man. His funeral was yesterday. The funeral was held only a block from his childhood home. Museum”. The homes are located at 15th and Main Street. 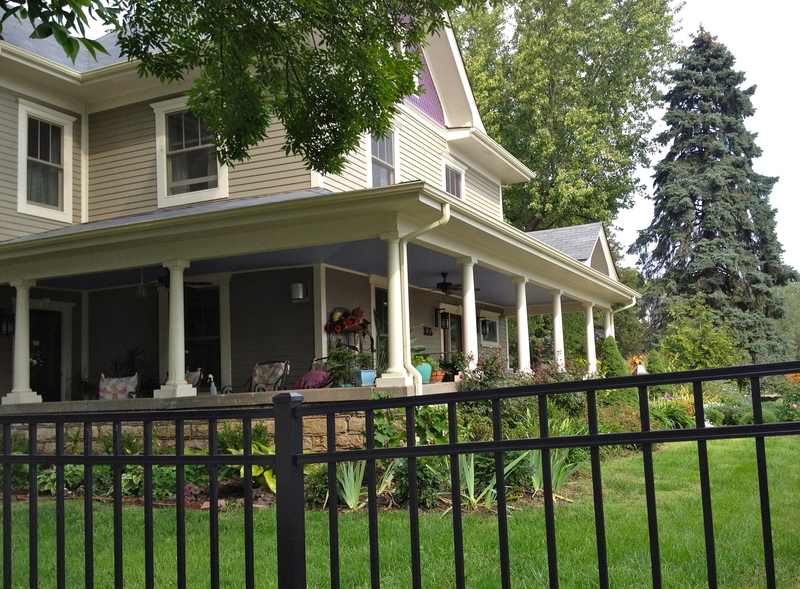 They are in the heart of the Blue Springs Historic District. In fact, they appear to “be” the historic district. 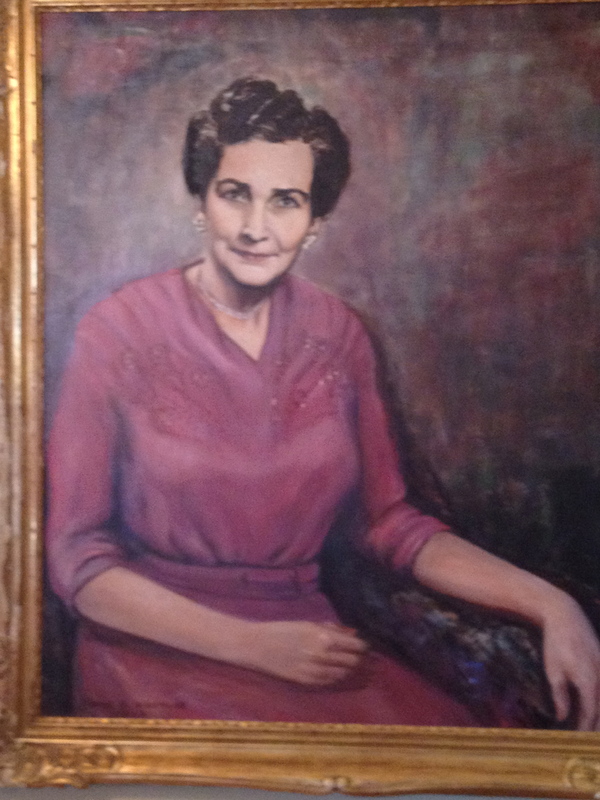 The portrait of his mother, Margaret Dillingham, is a prominent feature of the museum. Often, people who are born, live and die in one relatively small town live lives with a minimum of adventure. But nothing could be further from the reality of David’s life. David served in the United States Navy during World War II. He was trained at Cornell University before being given his orders to serve in the Pacific Theatre. His assignment was to build runways for U.S. military planes that were moving through the Pacific after Pearl Harbor, often in advance of U.S. troops. On his return from the war he went to work for AT&T , where he built his career. 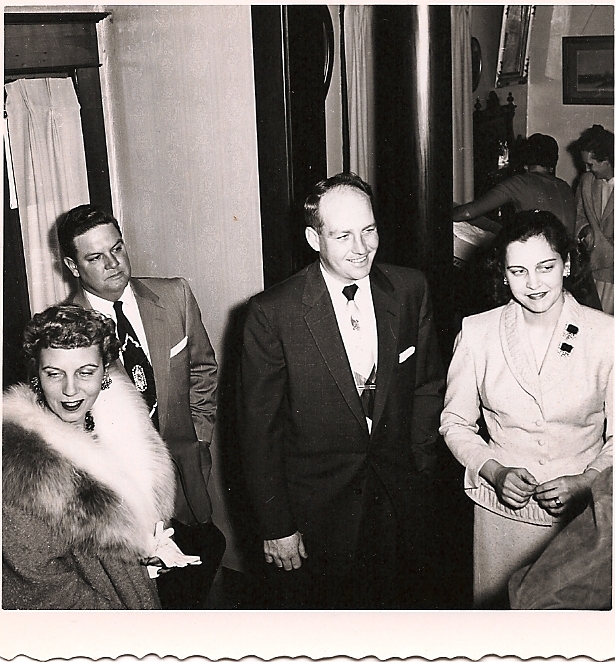 He was assigned to Alaska, where he helped build Alaska’s telephone infrastructure. Separated from his family, he nonetheless loved his experiences in what was in the 1950’s truly a wilderness. He returned home where he remained an AT&T employee for the remainder of his career. On his retirement, he became an active member of the “Pioneers”, a service organization for long time Bell System retirees. In the midst of this he married twice, each of his wives preceded in him death. He raised a family and was an extraordinary influence in the lives of his grandchildren, including Jake Hodge, Meg’s husband. When Meg and Jake began dating, David immediately won her heart by faithfully attending the annual performances of the Messiah, performed by the Independence Messiah Choir. (Those faithful to our blog are aware that Meg sang in the choir before graduating from law school and moving to California.) Meg and David developed a special bond, focused, I am sure, on their mutual affection for Jake. 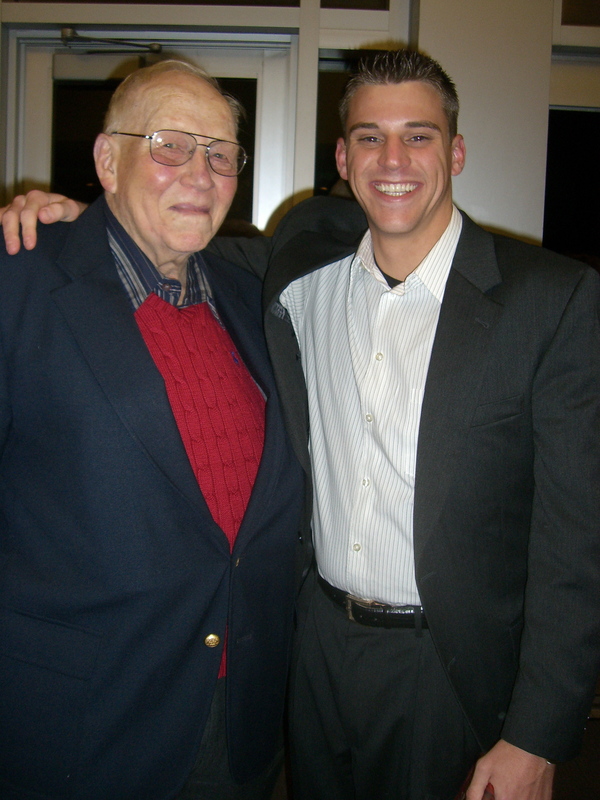 When Jake spoke at his grandfather’s funeral, he focused on his love and deep connection to him. He talked about David as a role model. He talked about his grandfather’s wisdom “to put family first”, and quoted from his grandfather that: “If you work hard enough, you can accomplish great things–and even surprise yourself.” Jake has certainly followed this sage advice, loyal to his family, and working long hours to put himself through the University of Kansas and now succeed in his career. Jake, Meg and Jake’s family will miss this wonderful man. David Brownfield was a wonderful representative of what Tom Brokaw has so aptly described as “The Greatest Generation.” He will be missed. This entry was posted in Family and tagged Blue Springs, Brownfield House, David R. Brownfield, Dillingham Museum, Jake Hodge. Bookmark the permalink. Sis, thank you for identifying David Brownfield for me and for putting him into perspective in Jake’s life. He will be missed. Thank you for the tribute! 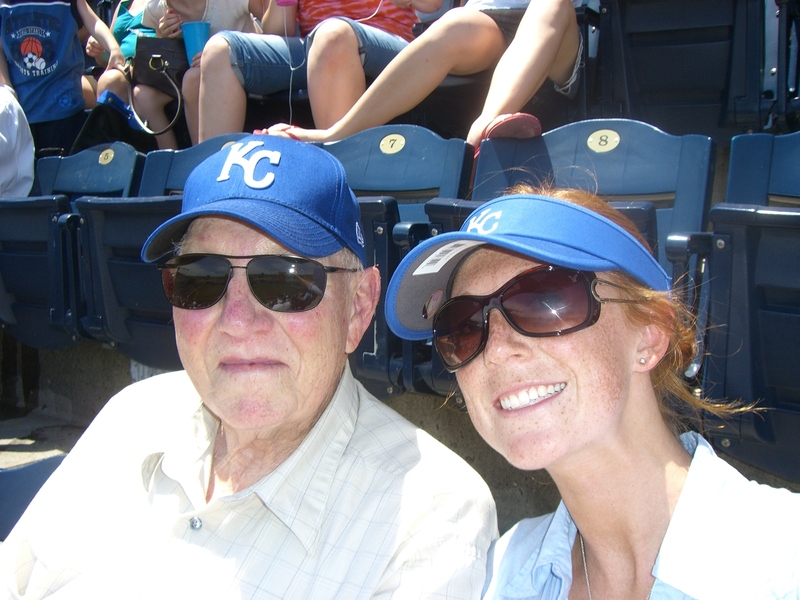 He was a wonderful father and left us with dignity and honors. Thank you for appreciating him as much as we did. It is good to hear from you. I am sorry about your loss. He was certainly loved by his family. I have it on the best authority (Jake) that he was the best!